The 81st Cumberland Vally Photographic Salon is a juried photography exhibit sponsored by the Washington County Museum of Fine Arts in Hagerstown, Maryland. 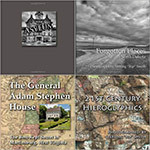 I was very pleased to have three of my images selected for this exhibit. 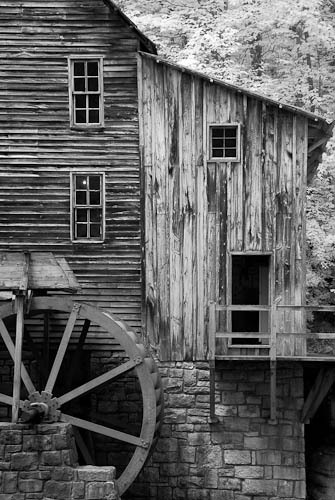 Among them is this infrared image of the Glade Creek grist mill in Babcock State Park in West Virginia. The exhibit is now open and I went up to view the exhibit yesterday so I could look at the work when it was quiet. There are some fine photographs in this year’s exhibit. Also worth looking at is a small collection of Ansel Adams prints in an adjacent gallery. The reception and awards presentation will be this Sunday, June 28 from 2:30-4pm at the museum. I plan to be there so if you can, come around and see the exhibit and look me up. ~ by Admin2 on June 27, 2014.